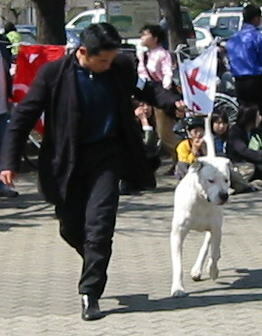 on April 10th and 11th, 2004. 2004.08.03　Finland Show result: Finaland Show was very exciting. 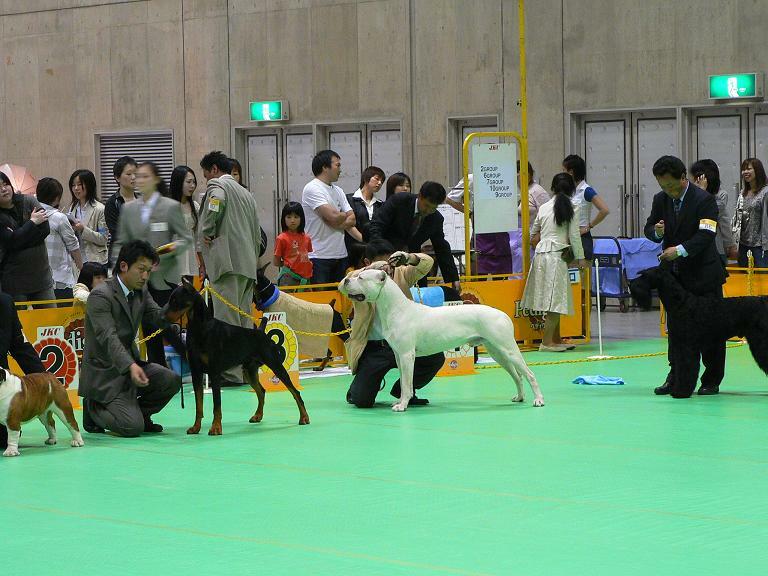 And there were 64 Dogos in the ring. Judge was Fernando Moreno. 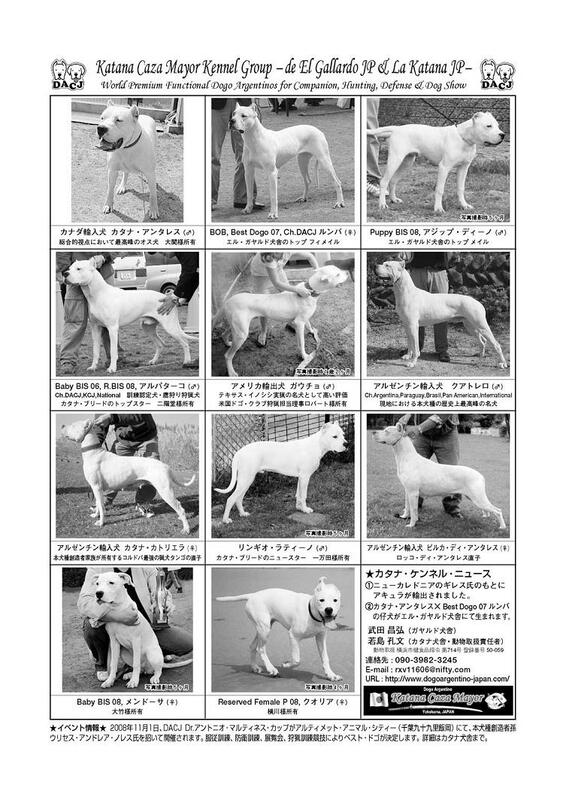 2004.08.29　We published the "Japanese Journal of Dogo Argentino, No.1, 2004." 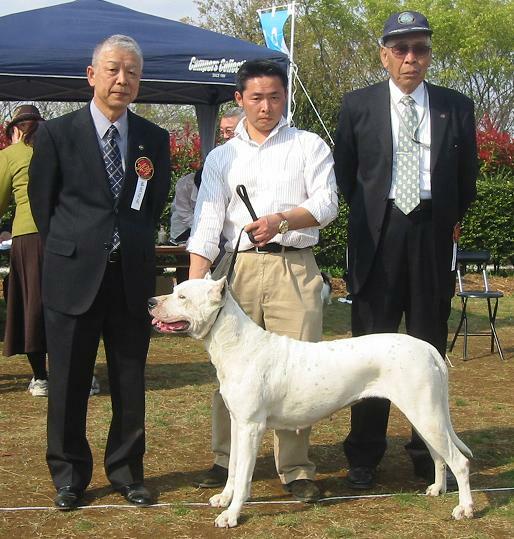 2005.03.02　We published the "Japanese Journal of Dogo Argentino, No.2, 2005." 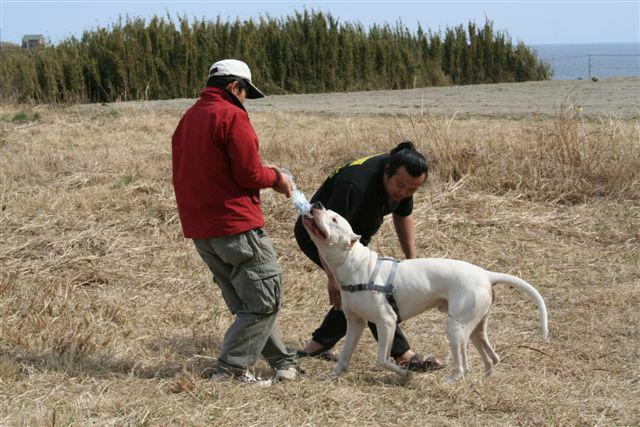 2006.01.05　We are always exporting the origin dogs in Japan to Europe and United States America. 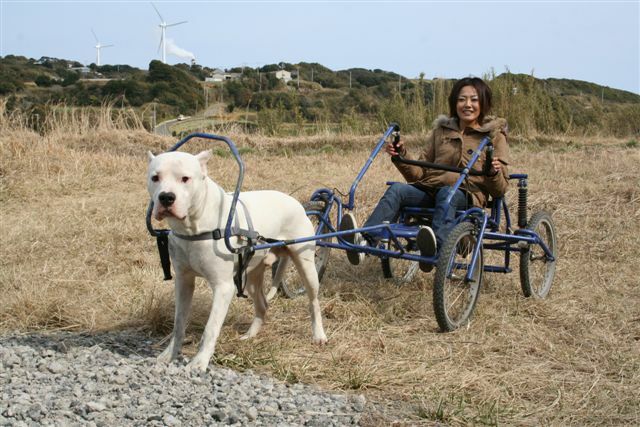 ( Shiba Inu, Akita Inu, Tosa Inu etc. ) Please contact !! 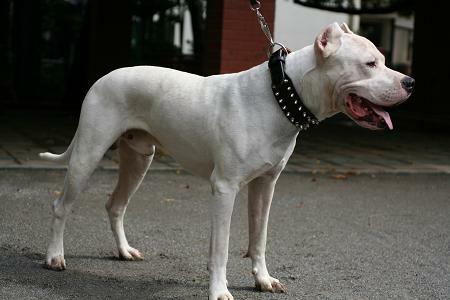 2006.03.31　待望のDVD・VHS Video 第一弾　「EL DOGO ARGENTINO」　完成 !! on Rosario Can Club, Argentina, May 13 and 14th. 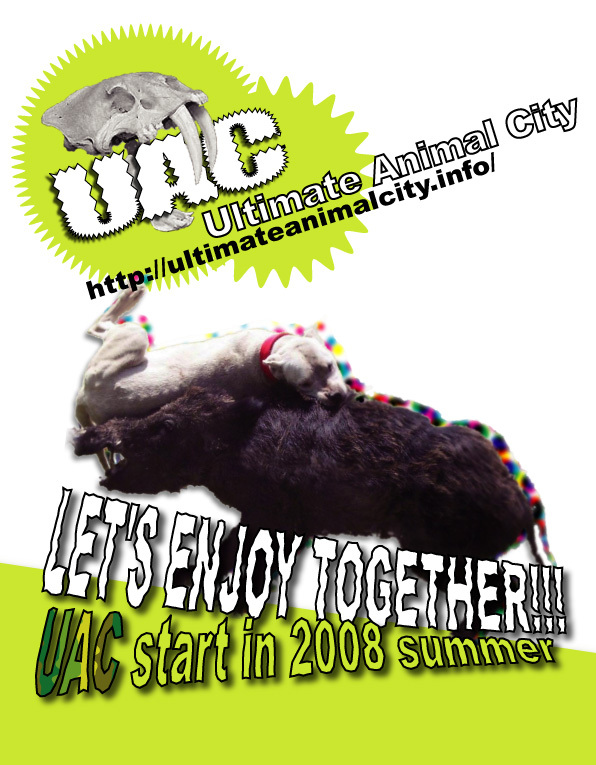 2006.06.07　Puppies were born on June 7 2006 !! 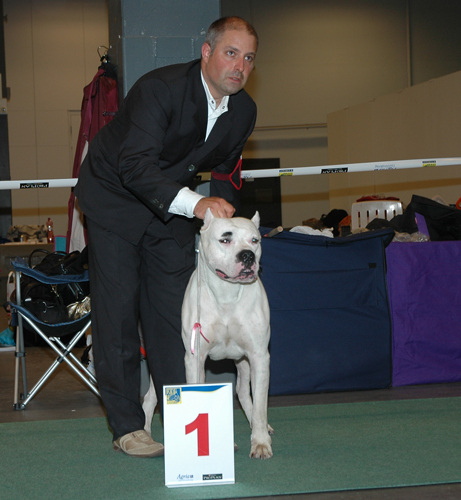 on Kennel Club Bahia Blanca, Argentina, June 10 and 11th. 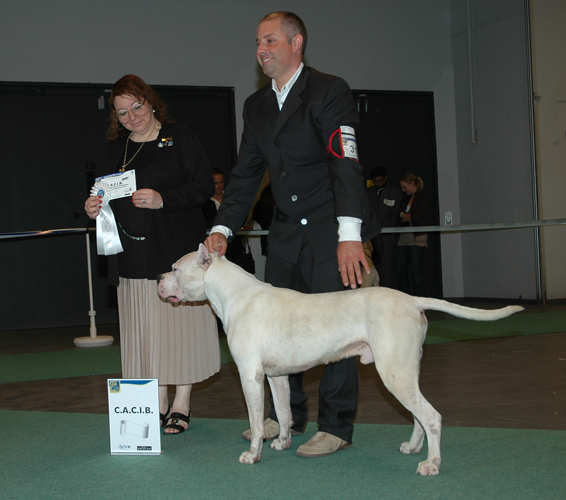 on Lomas de Zamora Kennel Club, Argentina, June 24 and 25th. 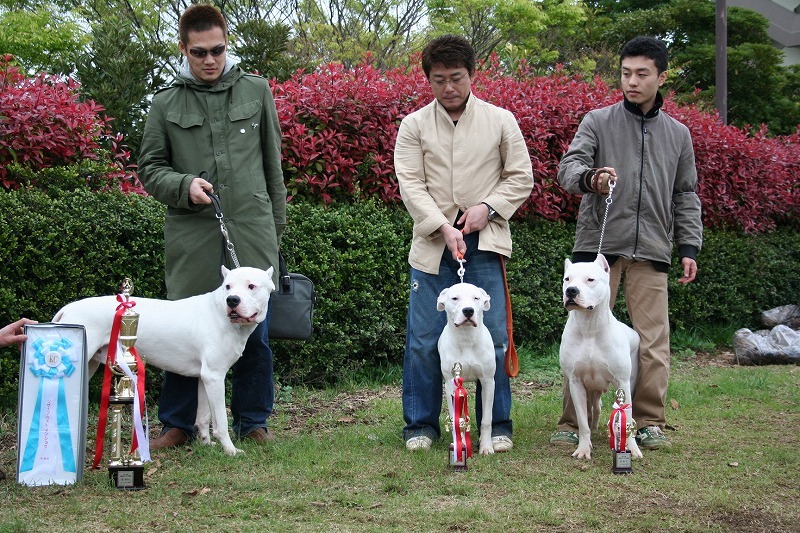 2006.07.08　We will publish the "Japanese Journal of Dogo Argentino, No.3-4, 2006-2007." 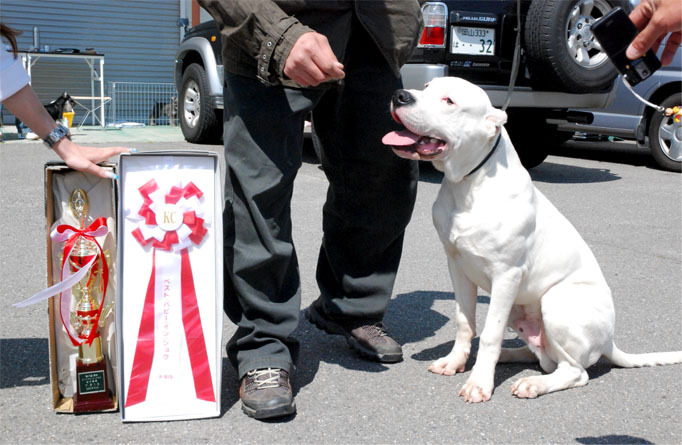 2006.07.25　We published the "Japanese Journal of Dogo Argentino, No.3-4, 2006-2007." 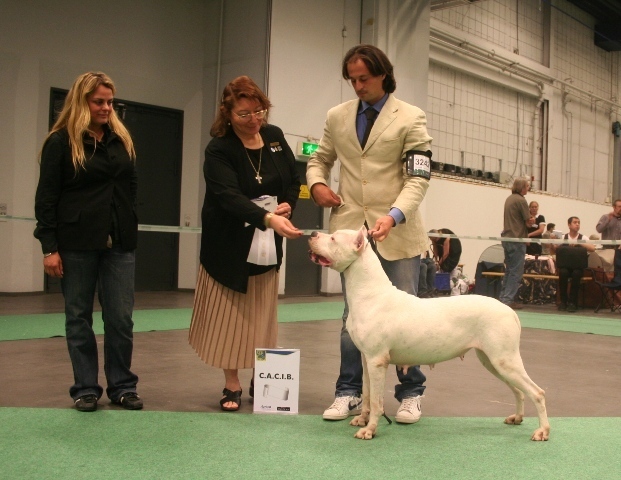 Cordoba Kennel Club, July 29-30th. 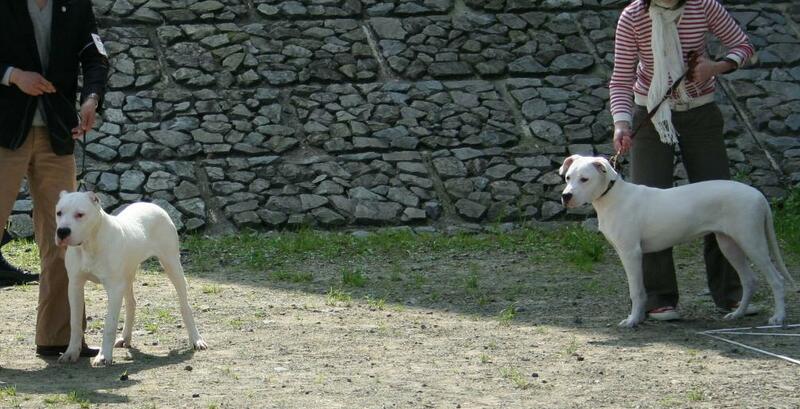 visited Katana Kennel, and they took a picture of our Dogos. Gaucho de La Katana, Anastasia de La Katana, Cazadora de La Katana. 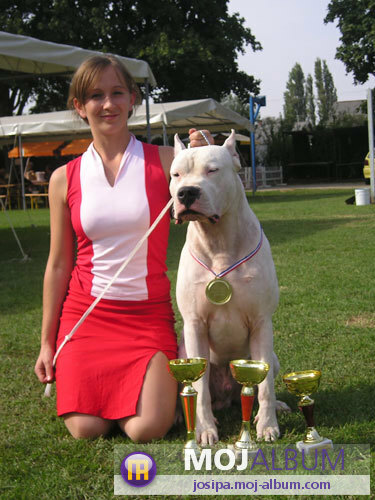 2006.08.29　Now Cuatrero is Argentina and Paraguay Champion !! 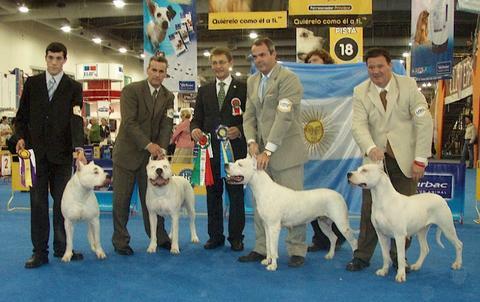 on Aniversary International Show of The Kennel Club Paraguay, August 26-27th, 2006.
de Agallas, and Gaucho de La Katana. 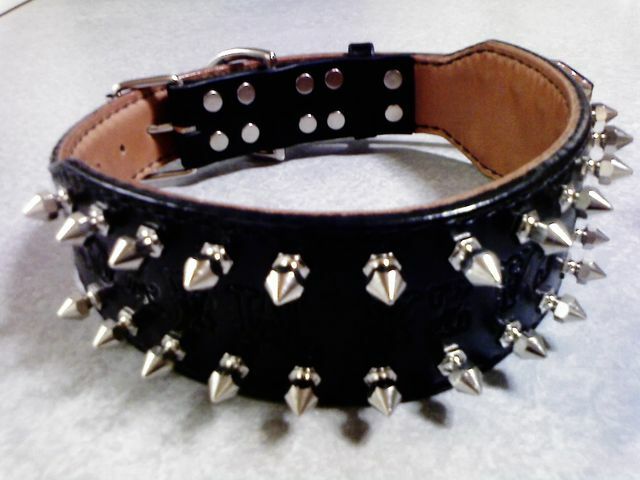 Dulce Grosella de Agallas got W.B. on this show. 25/26/27/28, January. 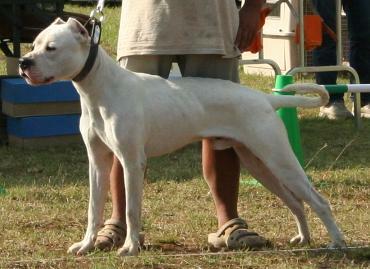 Audacity Cuatrero participated only 3days. He win 3 B.O.B. and 6 R.B.O.B.. 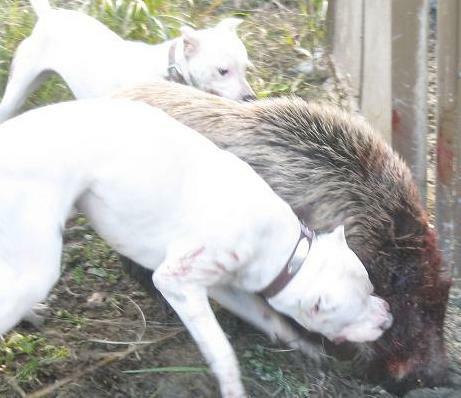 He got Ch. Brasil, Pan American, and International now. 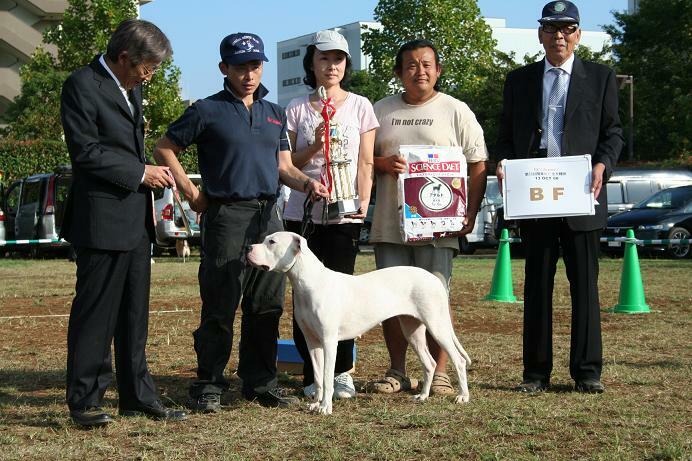 Special Festival, 1st Dog Show - National Breeding -, June 3, 2007 in Tokyo. 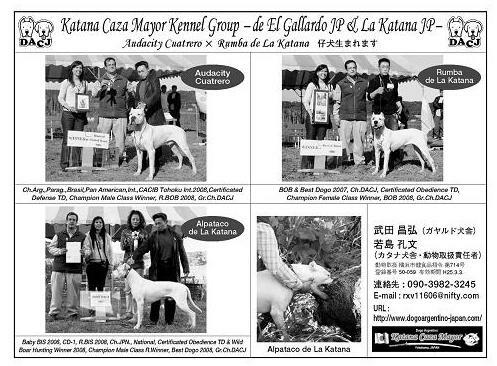 Cuatrero of Katana Kennel declined participation. He was complete condition!! 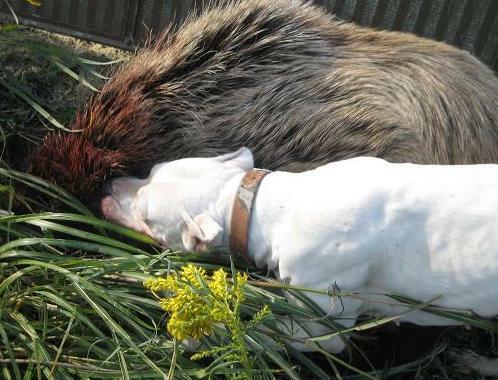 However we were not able to have a lot of time at this time. 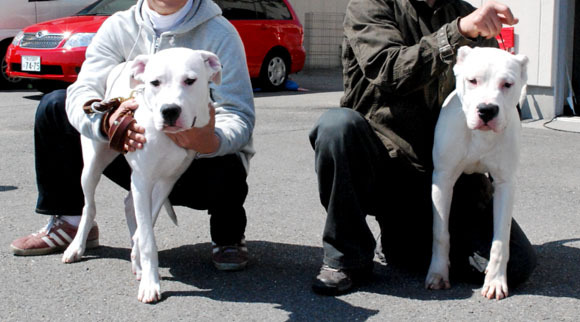 2007.10.29　Puppies were born on Oct. 29 2007 !! Today Mr. Albert arrived at New Tokyo International Airport. 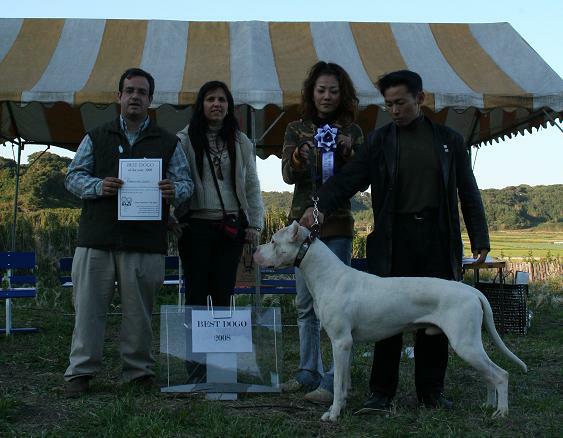 New Champion KC Japan & National, Alpataco de La Katana, Reserved B.I.S. 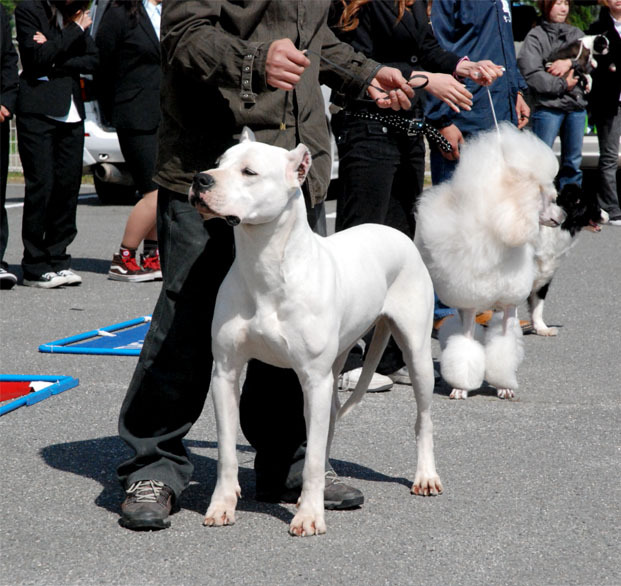 at All Breed Dog Show. He is 1 year and 10 months old. 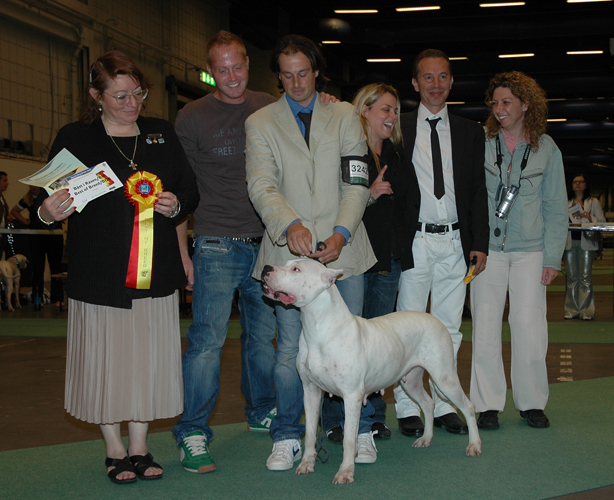 Reserved Female at All Breed Dog Show. She is 1 year and 10 months old. 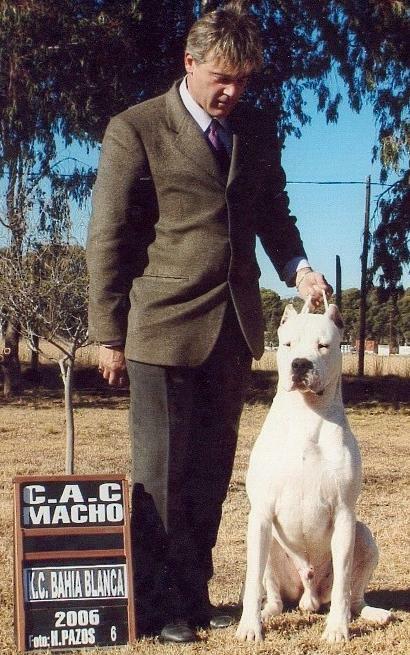 Audacity Cuatrero got Champion Class Winner, Best of Breed and CACIB. 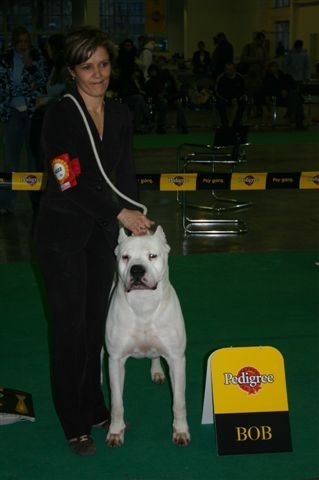 Audacity Cuatrero got Champion Class Winner and Best of Breed. 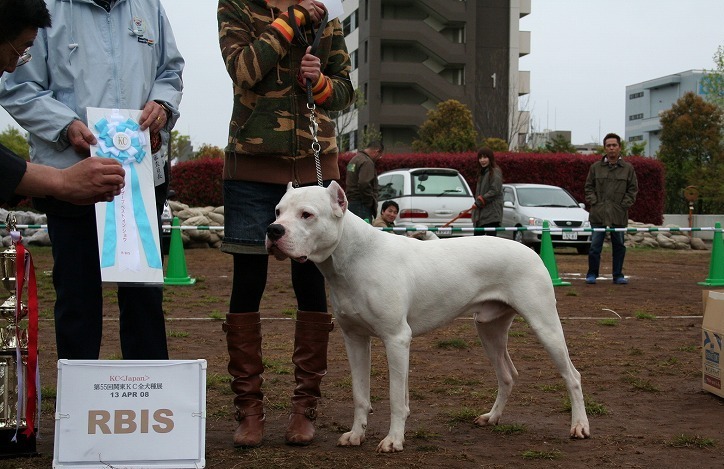 at All Breed Dog Show. 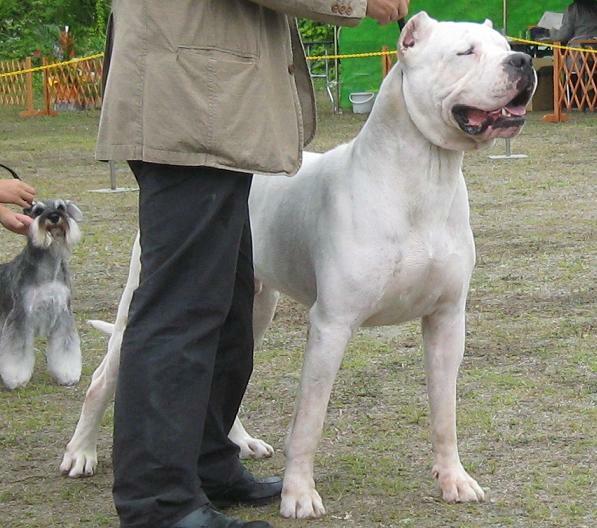 He is 11 months old. 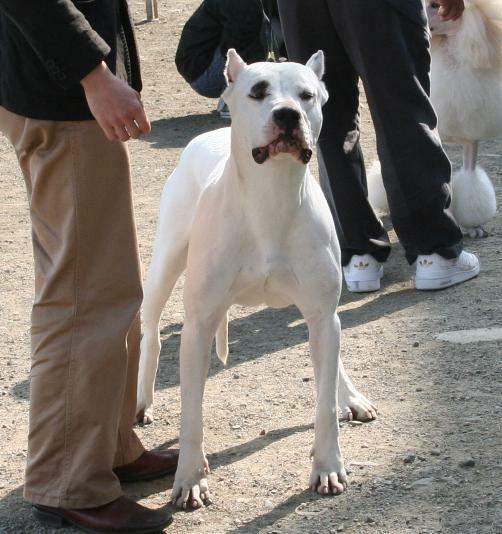 at All Breed Dog Show. She is 11 months old.